get the most recent astrophysics advances of ASTA team! download the new ASTA v1.4 release! explore quasars and hot emission stars spectra with GR model! The Astrophysical Spectroscopy Team of the National and Kapodistrian University of Athens was founded in 1984 by Prof. E. Danezis and Prof. E. Theodosiou and it focuses mainly on the research of hot stars' and quasars' spectra in the visible and ultraviolet. 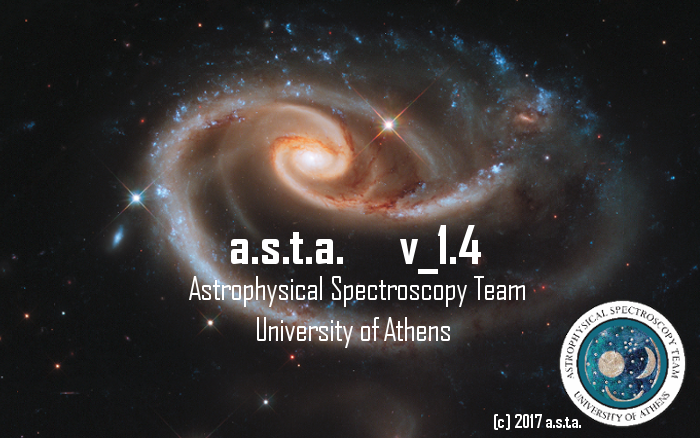 ASTA v1.4 is a spectral analysis software for displaying, fitting and analyzing astronomical spectra emission and absorption line spectra. The software is based on the GR theoretical model produced by the Astrophysical Spectroscopy Team of the National and Kapodistrian University of Athens. 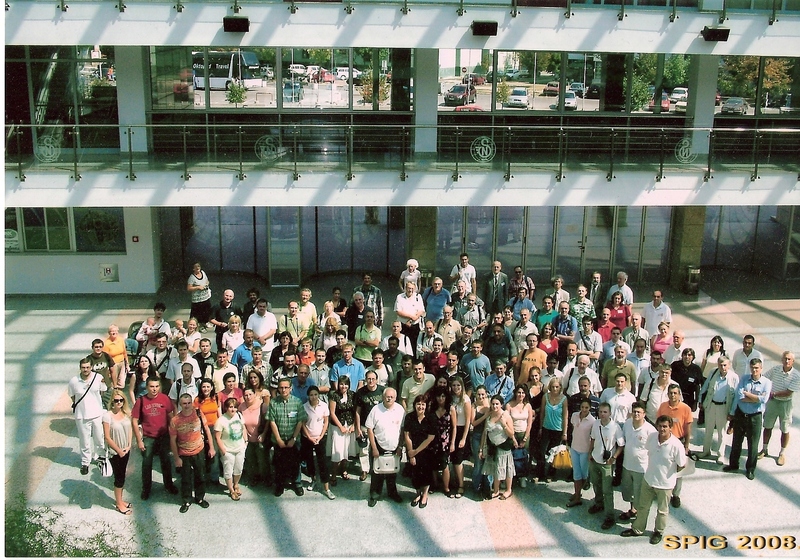 The Astrophysical Spectroscopy Team of Athens was founded in 1984 by Dr. Emm. Danezis and Prof. E. Theodosiou at the National and Kapodistrian University of Athens in order to study the peculiar, very broad and strong absorption lines in the UV spectra of Hot Emission Stars (Oe and Be stars) and Quasars that present some satellite absorption components that should not appear in their spectra, according to the classical physical theory. For the theoretical and mathematical formulation of GR model (a mathematical and physical model for analyzing astronomical spectra) the contribution of Prof. Theodosiou E., Dr. Evangelia Lyratzi, Dr. Nikolaidis, D, Dr. Antonios Antoniou, Dr. Kosionidis, and Prof. Stathopoulou M. was crucial. Of particular importance is the work of the PhD student MSC Dimitrios Stathopoulos, who introduced the fitting criteria which lead to the uniquely determined number of components needed to simulate the complex profiles of DACs, SACs, BALs and BELs. These fitting criteria guarantee not only the unique number of components but the values of the calculated physical parameters as well. Extremely important was the contribution of Prof. Theodosiou E., Dr. Lyratzi E., Dr. Antoniou A., Dr. Nikolaidis, D., Dr. Kosionidis A., Prof. Stathopoulou M., MSC Stathopoulos D., Prof. Laskarides, P. G, Dr. Grammenos, Th., Dr. Tzimeas D., MSC Bourma, P, MSC Kyriakopoulou, A., MSC Koutroumanou, M, MSC Christou G., Soulikias, A.,and Drakopoulos, Ch., whose tedious work of applying the model in a large number of Hot Stars and Quasars proved the validity of the model. 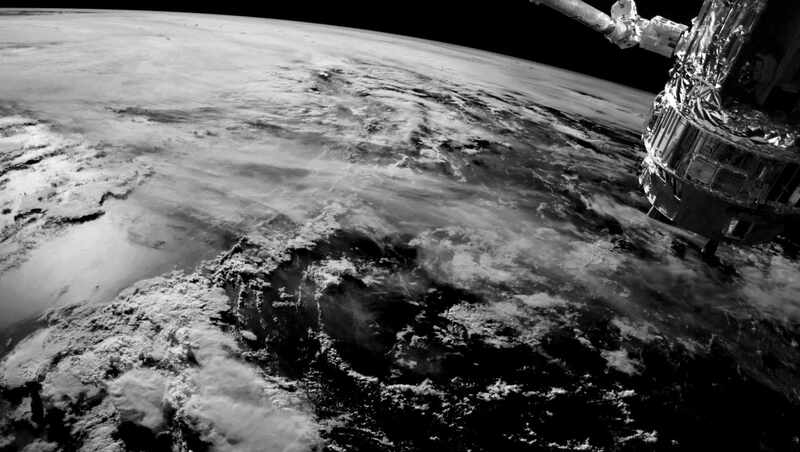 Finally, important contributions to the theoretical formulation of the model have been made by Prof. Popović, L. Č and Prof. Dimitrijević, M. S and their research teams of the Astronomical Observatory of Belgrade. 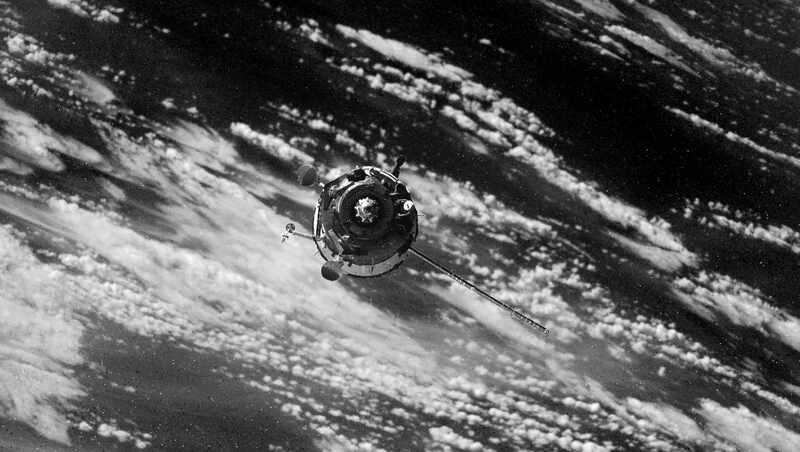 The cooperation of both research teams produced a series of publications in the fields of Hot Stars and Quasars. As for ASTA software, the first approach was made by Prof. George Danezis (UCL) when he was an undergraduate student in Cambridge University. The name of the first software was 'Spectrum'. The second and more advanced approach was developed by Dr. D. Nikolaidis and it was called DMVL. DMVL is the one we used until recently. The latest software release, which is called A.S.T.A. (Astrophysical Spectroscopy Team of Athens) is designed and developed by Dr. Dimitrios Tzimeas with the help of PhD student Dimitrios Stathopoulos and the theoretical contribution ofDr. Evangelia Lyratzi, Dr. Antonios Antoniou and Dr. Emm. Danezis. Since 1984 our scientific team published 131 research papers in international peer reviewed journals and conference proceedings. what is the GR model?